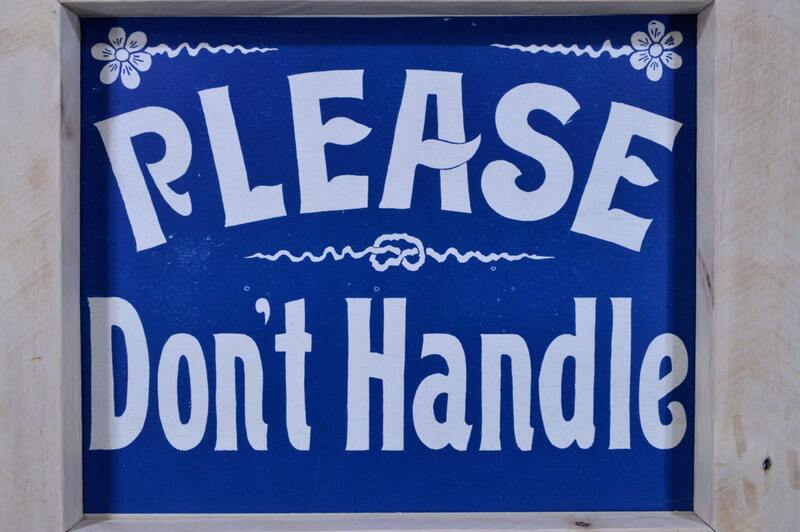 Vintage Please Don't Handle General Store Sign. 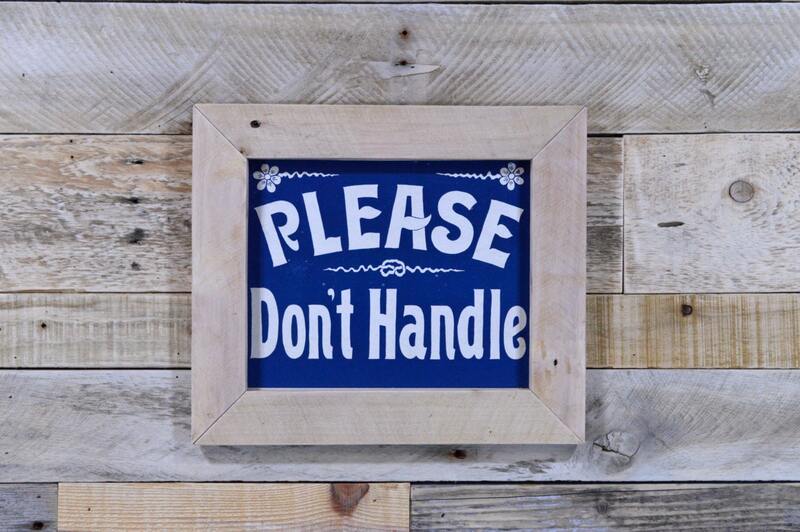 This was made to hang in a general store or dime store. We framed this in a simple reclaimed wood frame. 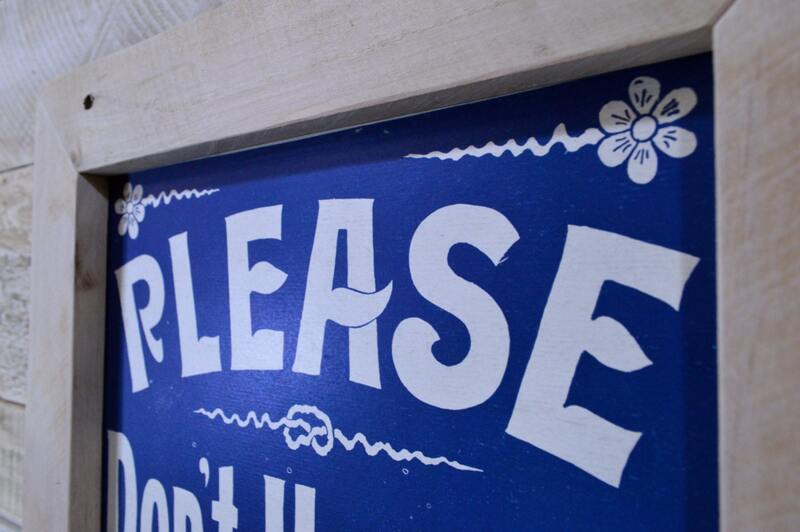 This sign was found in the basement of a building built in the 1880s. New old stock, nice condition, likely never used. 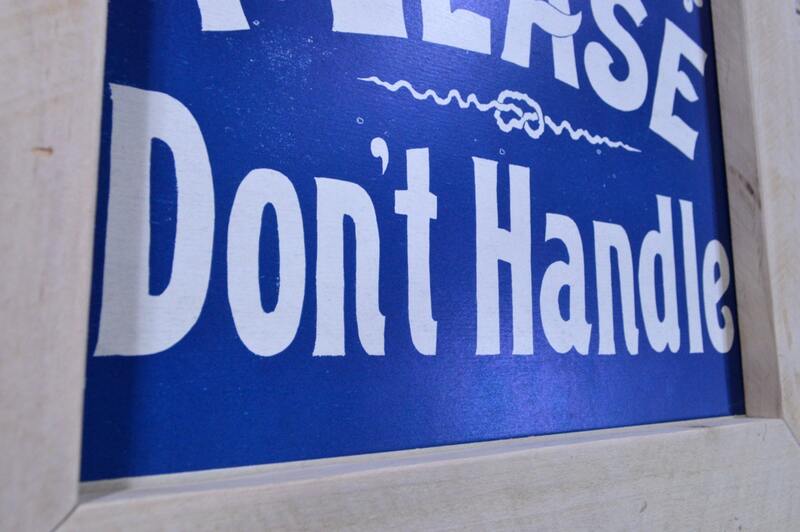 This is a true vintage printed sign. Very good condition for such an old piece of ephemera. Shows minor wear, consistent with age. Reclaimed wood frame was built in our shop. 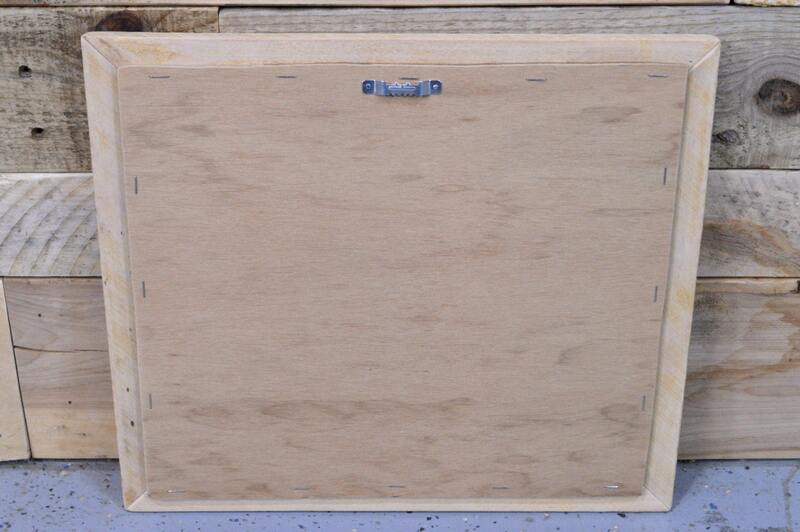 Frame is simple, raw, untreated wood.